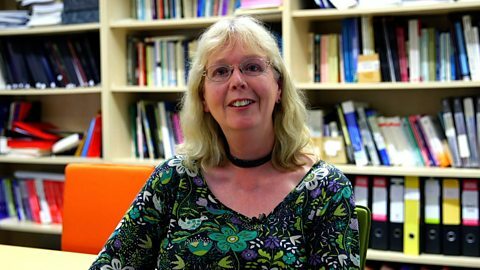 Welcome back to Academic Insights – the series where we meet real distance learning tutors and get their top tips for successful studying. 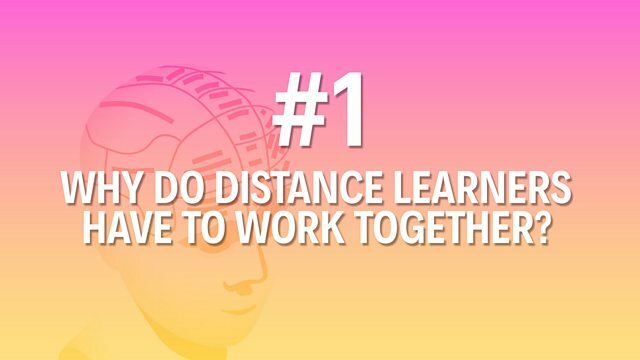 This time we're looking at a key area of distance learning: working with other people. Tutor Rebecca has the tips you need! You might think that distance learning means you'll be working on your own – but the reality is often very different. Distance learners might have to collaborate – work together – with other students on their course. So, how to do this? Rebecca Ferguson is a distance learning lecturer in educational technology and she has the tips to get you working well together! Scroll down to watch the video! To help you, take a look at the definitions of some key words from Rebecca's video in the Session Vocabulary box. Working well together: Rebecca answers your top questions in 2 minutes. My name's Rebecca Ferguson. I work as a lecturer in distance learning. My field is educational technology. There are several reasons. One of them is because it's a way of learning in itself. You share perspectives and you discuss things. The second reason is it's a very effective way of learning. And the third reason is employability. You need to be able to work with you or team. Student collaborative tasks depend on the level of study. They might be contributing to a forum; they might be responding to somebody else in a forum. But when you get to final years you'd be working on a project with others. You might be carrying out research with others. Shyness and confidence can be a problem for some students especially when they're in video conferences but in forums it's a very good way of communicating if you're shy. Something that a tutor can do is to encourage people to introduce themselves and to talk on a safe subject that they don't feel stressed about just introduce themselves and deal with something relatively impersonal. A solution for that is to share information about when you can work and for how long you can work. Another solution is to timetable how you're going to work together. They feel that it's very beneficial because it reflects what they're going to be doing in a working environment. It's something they felt unconfident about before and they now know how to do it. We hope you've picked up some good advice on how to work with other distance learners to achieve your academic goals. Let's recap the #6 things we've learned about collaboration in distance learning. Working with others has many benefits – gaining different perspectives; learning more effectively; and developing employability skills like teamwork. Collaborative tasks can range from engaging in a discussion forum to completing research projects with other students. Video conferences may be challenging for students who lack confidence, but they may be able to communicate more comfortably in discussion forums. Tutors usually encourage sharing and collaboration by asking students to talk about a familiar topic in the forum – this helps reduce student stress. Time management is crucial! Make sure everyone in your study group knows when you're available – and how long you can work for. Collaboration is an important skill to develop as a distance learner. Working with others is a part of everyday life in work and study situations. You can find out more about Rebecca and get more tips about working well with others by visiting our partner The Open University – click on the link in the 'Where next?' area.